WA Labor has won the State election resoundingly. This is good news for our members, after years of a Government that has failed to listen and failed to engage with our members, WA Labor has assured us that our members are important stakeholders. WA Labor has given an understanding that there will be no forced redundancies as part of the Services Priority Review they are undertaking, and they will make clear and transparent decisions about any changes in structure or services being delivered as part of the review process. We look forward to working with the new Labor Government on the Services Priority Review to minimise any impact on service delivery, jobs and your livelihood. No one knows the work you do better than you and we will ensure that WA Labor listens and collaborates to start rebuilding the damage done in the past 8 and a half years. The last word: get the full picture before you vote. On Wednesday, the Liberal Party’s costings were released by Treasury. The documents uncovered the Liberals plan to cut 2000 experienced public servants and replace them with 1000 lower paid graduates. Replacing 2,000 experienced public sector staff with 1,000 new graduates on less money, doing double the work will dramatically weaken the public sector, which is already struggling after years of cuts, privatisation and recruitment freezes. The savings made from the loss of the 2000 jobs was estimated to save almost the same amount that the Liberal Party plan to spend on consultants to sell public assets like Western Power. Cutting 2000 West Australian public sector jobs to pay for consultants to sell public assets is a sop to the big end of town at the expense of our members delivering valued public services to West Australians. 2000 jobs are to go, replaced by 1000 graduates doing twice the work for less money. Importantly, the Liberal Party have not released a public sector policy. On Thursday Labor revealed their plan to get the WA budget back to surplus across the forward estimates. That plan includes a $750 million cut to public sector expenditure. In December 2016, WA Labor announced their intention to conduct a Service Priority Review, though they did not announce at that time how much money they expected to save as part of that measure. The $750 million figure is a concern. We have engaged with WA Labor on this issue and we can advise that they expect the savings to be achieved through a process of agency amalgamation, reduction in the numbers of Senior Executive Service positions and a focus on realising economies of scale in public sector administration by reducing bureaucracy and red tape. WA Labor has assured us that there will be no forced redundancies and that decisions will be targeted and transparent. It’s a marked difference in communication from the Liberal Party and we will continue to engage with WA Labor in the interests of our members should they be elected. WA Labor recognises the CPSU/CSA as a stakeholder and has given an undertaking on consultation. c. 20 reduction in the Senior Executive Service. $750 million savings across the forward estimates. The Greens have engaged with the Union and its members supportively across the election campaign. Greens candidates have accepted the claim and consistently indicated their support for public sector workers. The Greens do not have a policy that directly relates to the public sector. The Nationals were slow to get a conversation started but in the last week we have caught up with Brendon Grylls who indicated his support for our regional members. In addition the Nationals WA have been in touch to let us know that following the election, whether they are in government or not, the leader of the Nationals and the Nationals President will be happy to sit down and have a discussion about job security, cuts and privatisation. Vision Opportunity: Hundreds of Milk Bottles with Colin Barnett’s face on them. 40,000 public service workers were concerned for the welfare of Premier Colin Barnett, who appeared to be missing… Until yesterday when Treasury revealed his plan: To cut 2000 public service jobs. Public service workers were angry at the Premier for refusing to meet or negotiate since they lodged their EBA claims on 17 November 2016, but now they can only conclude he was in hiding. The CPSU/CSA is one, of only two Unions, which currently has open EBA negotiations with the Department of Commerce. In previous elections, the Liberal Party was open to negotiations to help secure votes from public sector workers - this time round they are M.I.A. Secretary Toni Walkington says Mr. Barnett must take responsibility for his decisions. “Yesterday Mr. Barnett revealed the plan to cut another 2000 public sector jobs. “This will dramatically weaken the public sector, which is already struggling after years of cuts, privatisation and recruitment freezes. 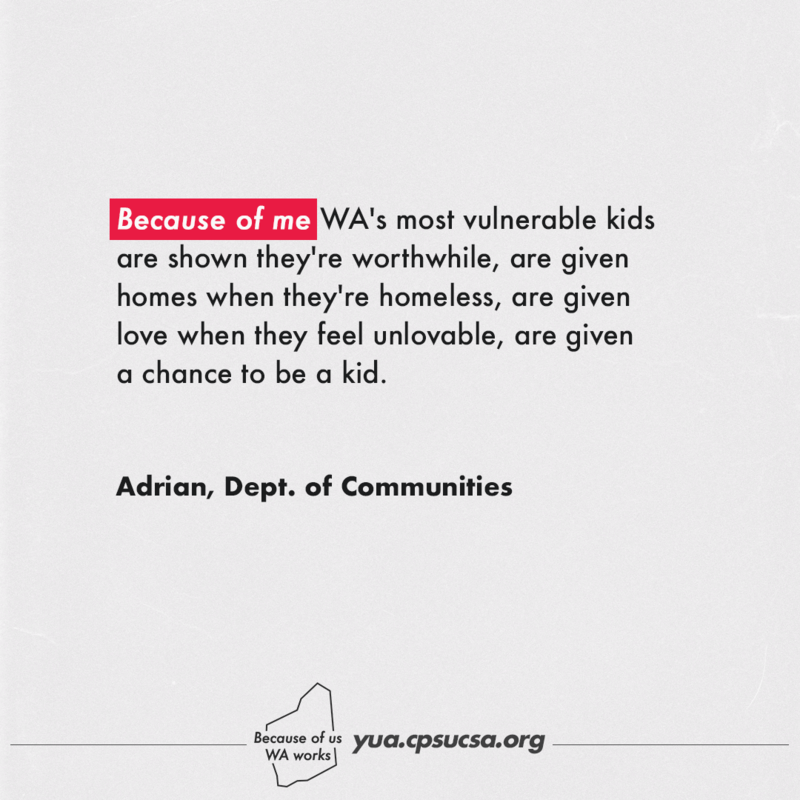 “Frankly it is unimaginable the devastating impact it would have for WA’s public services. “We will lose valuable knowledge and skills from the sector, while the government engages new graduates on less money, but expecting them to do double the work. “The Barnett government has one way to deal with their debt, cut the public sector. “This will be on the top of member’s minds when they go to the polls on Saturday. “Mr. Barnett has demonstrated that he is unable to manage the finances of this state and it’s time for someone else to have a go,” Ms. Walkington said. Of course, Mr. Barnett has announced one new detail for the public service. Early voting will be available from Monday 20 February until Friday 10 March between Monday and Friday except the Public Holiday on Monday 6 March. Early voting will be extended to 6.00pm on Friday 10 March except at centres with limited open times. The Commission has released a list of Polling Places for the 2017 State general election including Ordinary Polling Places and Drive-in and Mobile Polling Places for electors with accessibility requirements. Ordinary and Drive-in Polling places are open from 8.00am to 6.00pm on polling day. Mobile polling at hospitals and special institutions occurs at various times during the two weeks leading up to polling day on 11 March 2017. The Premier finally decided to engage with us today, he responded to the letter we wrote to him on the 10th February seeking his commitment to provide back pay should negotiations go over schedule. The letter doesn’t give a commitment and says that information we asked for has been provided to us, it hasn’t. The Premier is still missing in action on an Agreement that relates to over 40 000 West Australians. The Premier has not responded to the elements of our claim and the Liberal Party have not issued a policy for the public sector. You can see a copy of the Premier’s response to back pay here. Have You Seen Our Premier? on Wednesday, 01 March 2017. The next few weeks are the culmination of many years work for our Union and the labour movement. The Save Our Services campaign and the political element of the Your Union Agreement campaign are in their final stages and we have managed to get a clear view of what both major parties will deliver for the public sector. 12 January 2017 – The Premier failed to issue instructions to the Department of Commerce prior to the start of the first bargaining meeting. 10 February 2017 – The CPSU/CSA wrote to the Premier seeking his commitment to provide back pay should negotiations go over schedule. We haven’t had a response to date from the Premier and now we are worried he might be not just be missing in action, but missing altogether. Stay tuned to our Facebook page on the 9 March to help us find our missing Premier. Since the start of our campaign in November, we have been keen to engage with the National Party. We have campaigned heavily in Geraldton Branch Secretary, Toni Walkington caught up with Nationals leader Brendon Grylls this week and delivered a copy of Your Union Agreement claim. Mr Grylls made clear his support for regional members of the CPSU/CSA." Regional CPSU/CSA members have been asking Mr Grylls to meet with them in the regions. No luck yet but we are working on it. Take part in the action by emailing your candidate. Team CPSU/CSA headed to Geraldton to talk to members about Your Union Agreement and we got some great feedback from members. We held a supporters BBQ at the Glindinning Park and held a stall at the Platform Markets, taking the message about public services to Geraldton locals.